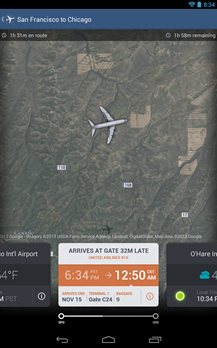 FlightTrack is not a newcomer to Android, but this particular version of the app is. 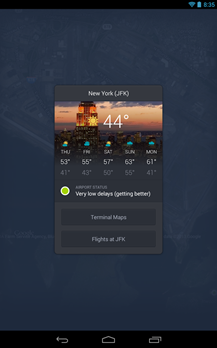 FlightTrack 5 is a totally redesigned experience that's being released in time to celebrate the developer's fifth anniversary. You can join in on the festivities by taking advantage of the introductory sale price for FlightTrack 5. 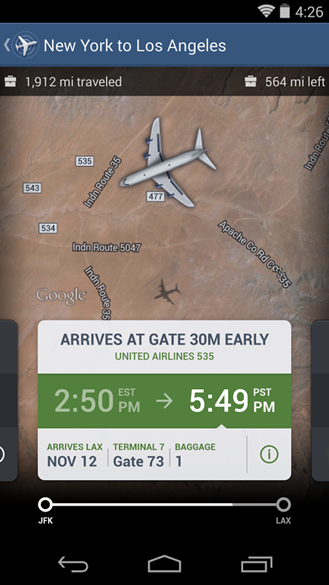 This app is designed to help you survive the horror of air travel. 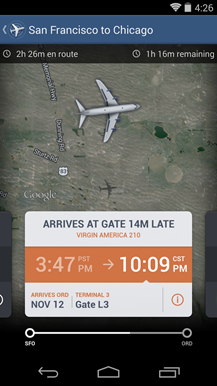 FlightTrack 5 does pretty much what the name says – it tracks flights and offers real time alerts whenever anything changes. 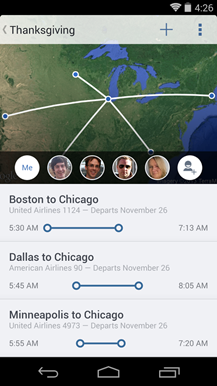 You can also add multiple travelers who are on different flights, and keep tabs on who is departing and arriving at what time. 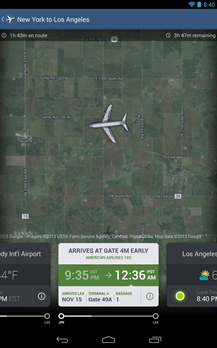 The map view will show you live flight path data when available, and will overlay weather information. 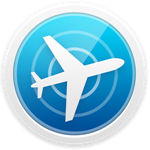 FlightTrack 5 is compatible with 3,000 airports and 1,400 airlines worldwide. The Android version of the app includes a few nifty extras including sharing trips via NFC, a Dashclock extension, homescreen widget, and a live wallpaper. 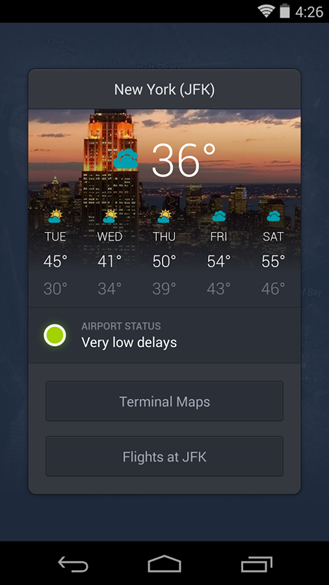 The app's design also looks pretty nice. You can pick up FlighTrack 5 for $2.99 before the end of the month. After that is goes up to $4.99.